THE SETTING: BIG SUR Feel with CARMEL LOCATION. 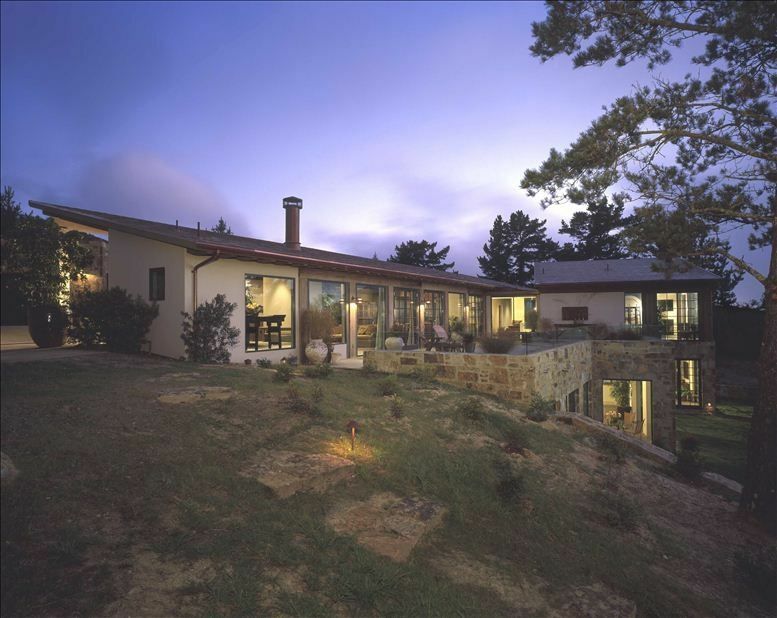 Majestically situated on Point Lobos Ridge, this stunning home offers the most incredible white-water and ocean views of Carmel and Pebble Beach imaginable. The home is positioned to take advantage of the natural wonders of the central coast and is guaranteed to leave you breathless. Experience the warm microclimate (15 degrees warmer than foggy Carmel), for you are perched high above the fog. Sunrises and Sunsets are 360 degrees and Carmel Village lights up the night below as the fog threading way through the Valley. Thousands of acres of California State Parks open space surround the property, with oceanfront hiking in Point Lobos State Park at the entrance to the road leading to the estate. Vast open space precludes distraction, creating an abundance of stars and planet viewing. THE HOME: Situated on nearly 9 acres, your privacy is insured. With 4 bedrooms, 4.5 baths and 4,350 square feet of newly constructed living space this comfortably elegant home is unparalleled in quality and design. The fireplace, as well as the reclaimed 100 year-old building materials that surround you will warm your soul. The unique layout provides the privacy of three master suites, on two separate levels, each with vast ocean views. You and your guests will enjoy privacy when desired, and a number of gathering places when time to enjoy the company of family and friends. Vast patios provide seamless indoor and outdoor living, especially when you open all 25 doors to the native grass meadow and slate patios. The Chef’s appointed kitchen offers a Wolf cook top and oven, Fisher Paykel double dishwasher drawers, several subzero refrigeration systems, and beautiful cookware and tableware. We will do everything possible to make this a memorable experience that will endure a lifetime. Keywords: This amazing home has been the Location Featured in Fashion and Home Décor catalogs. Automotive and Celebrity photo shoots. Thank you Lou! Your beautiful home is truly amazing and we had the best time for my sisters birthday. Pamela was very attentive and made sure our trip was perfect. Thank you and I’ll be back for sure!!! Thank you for your kind words regarding our home. I hope our paths cross again in the future. Gorgeous property....beautiful home...wonderful family memories made. Property manager, Pamela, was very helpful and attentive and just a phone call away, if needed! Our last morning greeted us with a beautiful rainbow over the ocean....a site to hold forever in our memory. The owners were incredibly accommodating. The tranquility was instant with the smell of the pines and view of the Pacific. A special spot in the most beautiful place in the US. Thank you for quality time w my family. This was our second time back to this lovely secluded home. Everything was perfect! The rooms allowed for separation for sleeping and for kids on one floor and adults on another. The dining/kitchen area was large enough to have ya all together for meals. Kitchen was stocked well, great appliances. The front and back purdoor areas were amazing. Great place to stay. Wow, thank you Kathy & Bill for sharing your experience! I hope our paths cross again in the future.